ONE OF DC ZAGAT'S TOP 25! 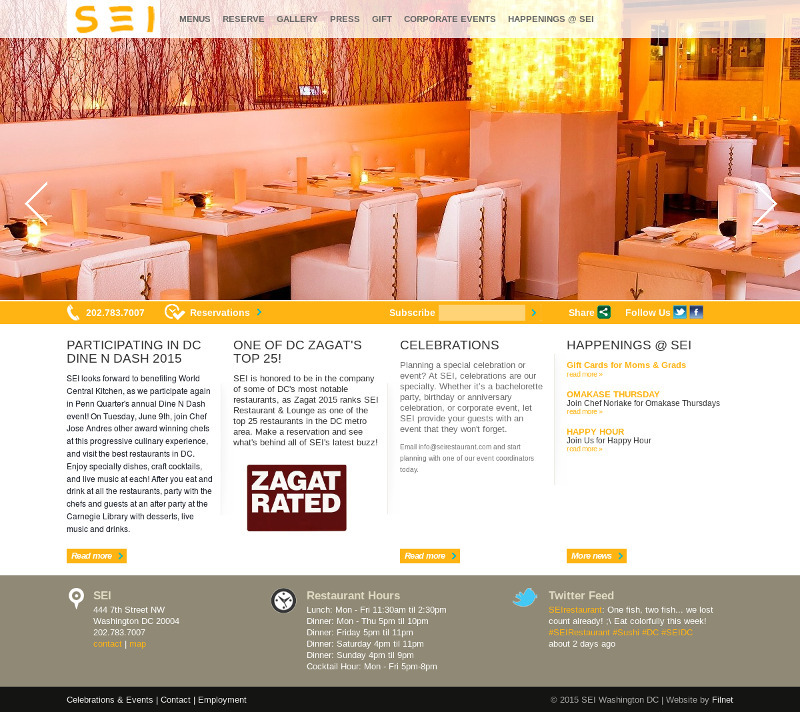 SEI is honored to be in the company of some of DC's most notable restaurants, as Zagat 2015 ranks SEI Restaurant & Lounge as one of the top 25 restaurants in the DC metro area. Make a reservation and see what's behind all of SEI's latest buzz!